There are currently 18 available reservations. We use the book The Spiritual Solution – Simple and Effective Recovery Through the Taking and Teaching of the 12 Steps, by John H, as a guide to the 12 steps as presented in the book Alcoholics Anonymous. 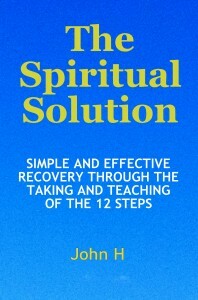 The Spiritual Solution book is provided at our workshops and is available in paperback and Kindle format at Amazon.com. Despite modern common practice the 12 steps are meant to be taken as soon as the alcoholic or addict comes to AA. 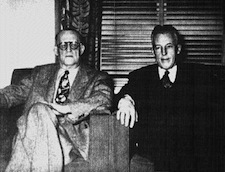 Taking all 12 steps immediately as the foundation for continuing sobriety is how our founders Bill Wilson and Dr. Bob Smith took them, and most of the early members of AA. Most addicts and alcoholics never are able to get to the point where they are “feeling better” without taking the steps. Dr. Bob insisted on taking very sick alcoholics through the steps immediately and then insisted that they do the same, take others through the steps immediately, if they were to stay sober. In the early days of AA, the recovery rate of people in AA was much higher at approximately 65% than the 2% to 3% today! Once taking the steps, the most important and effective action anyone can take for developing comfortable and contented sobriety is taking other’s through the steps, following the example of our founders. Another indication of the overall ineffectiveness of the modern “group therapy” model common today is that AA membership has not grown significantly in over 40 years and has stayed at about 2 million members. AA went from a fellowship growing exponentially for many years, to stagnation. Many alcoholics continue to suffer, and many will die, due to disregard of the 12 Steps and the many embellished and complicated individual methods used today. Please click here to view sources for these estimates. The 12 steps as a program of recovery will work for many if not all alcoholics, and those addicted to other substances, who actually take the steps using the simple and direct method of our founders. If you are new to 12 Step Programs and do not have a sponsor you are welcome at our workshop! Your sobriety and your life depends on taking the simple and painless 12 Steps as soon as possible. If you are still struggling with your addiction, even after many years of attendance at meetings, do not let other’s misunderstanding or outright disregard of the 12 Steps contribute to your confusion and suffering. A 12 step program is only effective after the 12 Steps have been taken as intended! The spiritual solution to alcoholism and addiction is achieved by taking the 12 Steps and then taking others through the 12 Steps as described in the book Alcoholics Anonymous. The 12 Steps is the only direct and useful program of recovery presented by Alcoholics Anonymous. We will take all 12 steps as presented in the first 164 pages of the book Alcoholics Anonymous, our textbook for effective recovery. Upon completion of this workshop a foundation for comfortable and contented sobriety will be established. Most importantly, the understanding of how to take others through the steps is developed, further ensuring lasting sobriety, abstinence and sanity. You will find a new freedom and a new happiness based on the 12 Steps and not dependent on a constant focus on your individual problems and a misguided over-emphasis on meeting attendance. It is our hope that you find the information on this website and participation at the Spiritual Solution workshops helpful in achieving and maintaining sobriety and abstinence through taking the 12 steps and then taking others through the same 12 steps. This is how “it” works.